PULSE Los Angeles will feature an estimated 65 galleries. Modeled on the PULSE Miami fair, PULSE Los Angeles will offer a beautifully produced exhibition venue with soaring ceilings surrounded by an expansive outdoor area, across more than 100,000 square feet of space atop The Event Deck at L.A. LIVE, an AEG Worldwide venue. Jeon Ju Korean Restaurant is pleased to announce a new addition to the Oklahoma City fine arts scene. 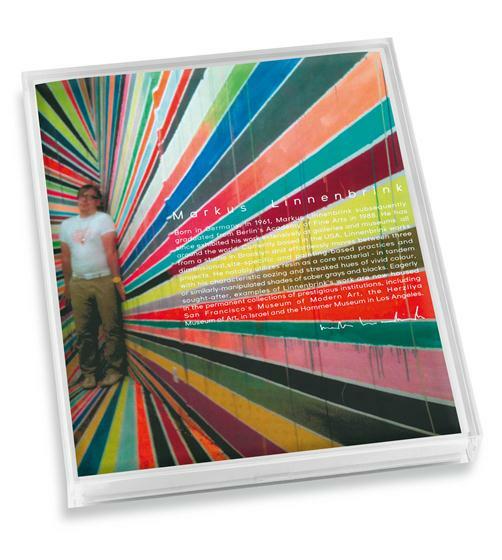 In August 2011, New York based artist Markus Linnenbrink will create a site-specific wall painting for permanent display in the restaurant dining area. This will accompany the restaurant’s remodel into a more sleek and modern space. FLOOR-WALL-CEILING PAINTING for newly constructed JVA/Prison, Duesseldorf Rath, Germany. 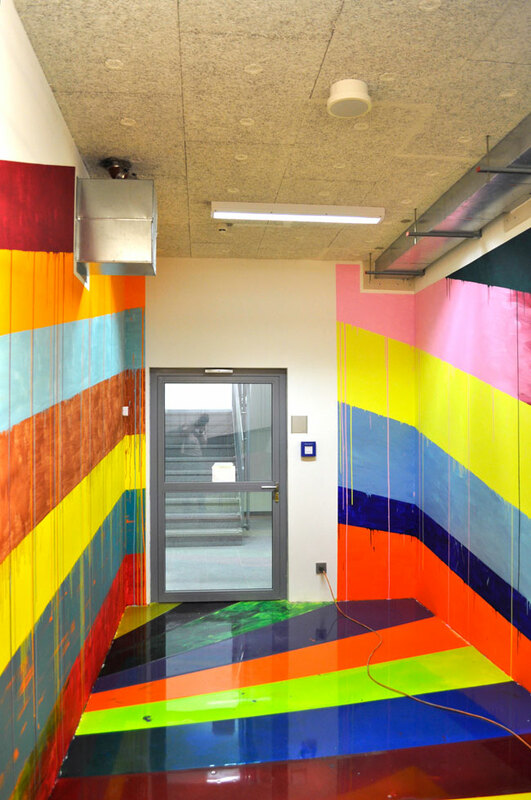 For this public commission Markus Linnenbrink created a floor to ceiling painting covering the visitors tunnel of the new Justiz Vollzugs Anstalt (Prison) in Duesseldorf Rath, Germany. Being a model prison in Europe this institution is built and set up to deal with security and humanity issues in the best possible way. Visitor access (for family, lawyers, police...) has to be under ground by law in newly constructed prisons in Germany. This tunnel covers the 40 m (about 132 feet) between the security check in the front building and the visitors area in one of the inner prison buildings. Concept for the installation was to create a 3 dimensional painting that follows and surrounds the visitor during the walk through the tunnel. Two sets of diagonal stripes that both grow wider while covering the distance build two different perspectives. One moving inside, the other one taking the visitors back to the exit/entry area. Doing this the single stripes move from floor to wall to ceiling, change their colors over the distance and fold around corners.